Nichole has nurtured a slow and steady love affair with yoga for over 15 years. It began as her point of entry into the integration of mind, body, and spirit healing. Presently, it is a passion she is eager to share with others. 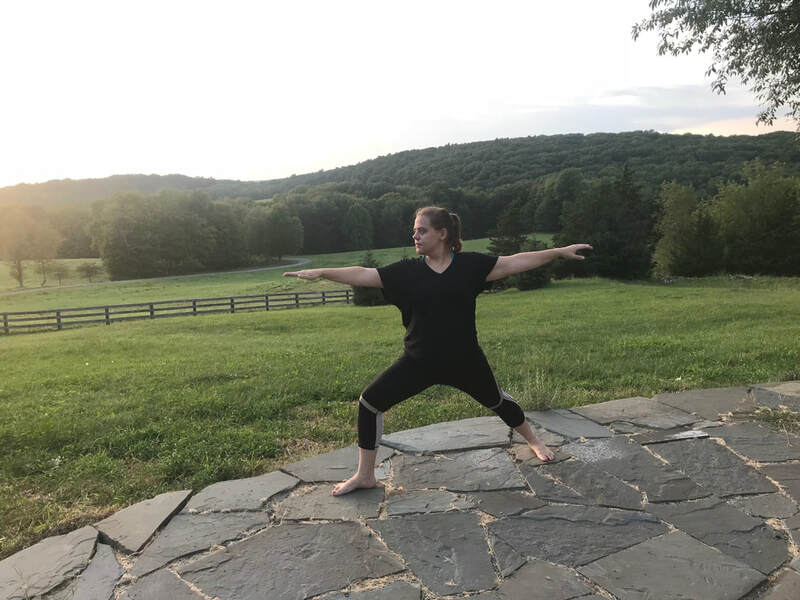 Nichole completed her 200 hour training at Three Sisters Yoga in New York City and now has the joy of teaching at Rainbow Body Yoga in the beautiful Hudson Valley. Yoga has been a companion through the many transitions and challenges of life. No matter the length of time spent in the practice, there continues to be new depths to explore and discoveries to be uncovered. This alluring path of learning has kept Nichole coming back for more. Yoga is the process of learning how to move the physical body in communion with the breath. This leads to the calming of the mind through the deep focus on the movement. Nichole teaches yoga from this standpoint; it is a physical practice that allows for the subtle body and the mind to work together for deeper understanding and multi-dimensional healing. She eagerly anticipates sharing this journey with students at the Rainbow Body Yoga studio.